Abu Dhabi, the capital of United Arab Emirates, is the second most populous city in UAE. There are prestigious institutions in this city that offer grants to support and promote science and technology. The Scaled Agile Framework certification in Abu Dhabi, provided by KnowledgeHut, will be your stepping stone to enhance your skills and career and add to the technical growth in the city. Be Prepared The Scaled Agile Framework (SAFe 4.5) training and certification program prepares managers, executives, all external consultants, and internal change agents to apply the principles of SAFe 4.5 in their work. This courseprovides the tools that these learners will need to implement Agile programs efficiently. It validates learners? knowledge in Agile methodologies, Agile architecture, and leadership on an enterprise level.Scaled Agile Framework training in Abu Dhabiprepares the change agents to lead an Agile transformation in an organization. KnowledgeHut providesleading SAFe 4.5 certification training in Abu Dhabi through convenient classroom classes. A New Alternative KnowledgeHut?s Scaled Agile Framework training in Abu Dhabiis a program that will help you implement SAFe 4.5 and its Lean thinking principles to the organizations you work with. This program sees attendees from different organizational levels and qualifications. 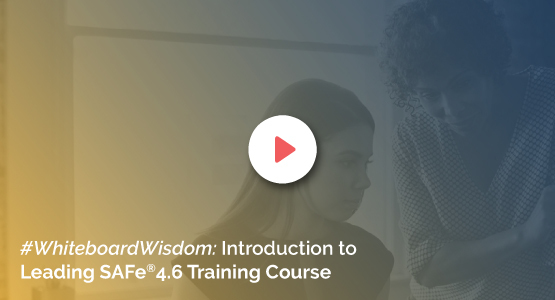 The modules provided in this training introduce you to SAFe 4.5 and its principles, teach you to embrace Lean-Agile thinking and implement Agile Release Train. These are essential skill-sets that any certified SAFe 4.5 program consultant should have in her or his portfolio. Keeping Ahead of the Curve The certification and training is sought-after by project and program managers, product line and product managers, system, solutions, and enterprise architects, and IT, QA, and development management among other internal change agents. With the SAFe 4.5 certification, you can implement Lean-Agile systems and software development for success at an enterprise level. You can apply the concepts you learn online to work at program, value stream, or team level. Once you pass the SPC exam and become a certified trainer, you can train executives and managers. You can also be a SAFe 4.5 Agilist certifying agent with this certification. You can be a part of a Lean-Agile change initiative on an enterprise level. KnowledgeHut Empowers You The leading SAFe 4.5 online coursefrom KnowledgeHut will give you an upper hand as a change agent in your organization. Delivered by qualified and experienced SAFe 4.5 program consultant trainers, this course will enhance your career opportunities. The price of this instructor-led training includes the SAFe 4.5 Agilistexam fee.